This was a weird thing a few weekends ago. 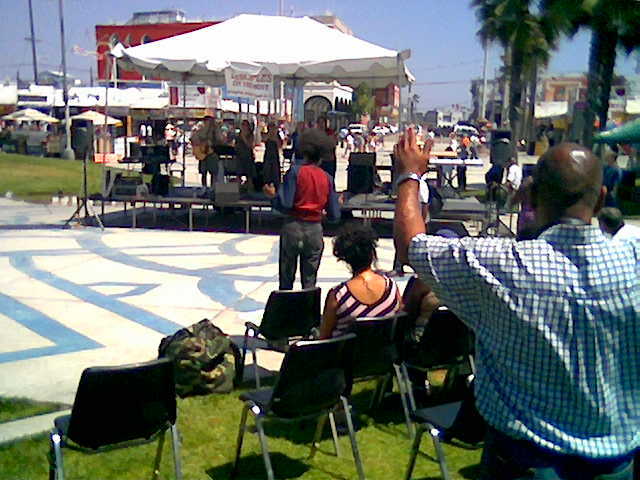 Several fresh faced young Christians decided to hold a church service just off the boardwalk on a SATURDAY afternoon. Could hear the music for blocks and blocks. The homeless people were really into it. My personal favorite is the guy or girl with the big afro in the front row.